Most venues are booked a year in advance but never hesitate to ask. Find out if the venue has in-house catering – this is much easier than booking a venue and hiring outside caters. Then you have 2 contracts to deal with. Don’t forget – location, location, location! Somewhere central for the entire group ensures better attendance. Having a set budget will make your job so much easier. You’ll know exactly what you can afford, and what you can’t. Are you having a DJ, casino night, comedian, hypnotist or, just a really great emcee? Planning this early helps set the tone of the event. Does the venue you booked provide décor? Find out and then contact a decorator if needed or save a little bit more for this in the budget. Décor sets the mood of the night; it’s the holiday season after all! Sparkling lights and vibrant holiday colours add to the ambiance of the event. Will there be a formal presentation? Make sure to get quotes for AV from the venue. Do you need microphones, screens, projectors, lighting? Is you band or DJ brining their own sound system or do you need to rent that? Try to have all these requirements in your AV quote at the beginning so that you can accurately prepare your budget. Now that we’ve set you up for success it’s time to get planning! 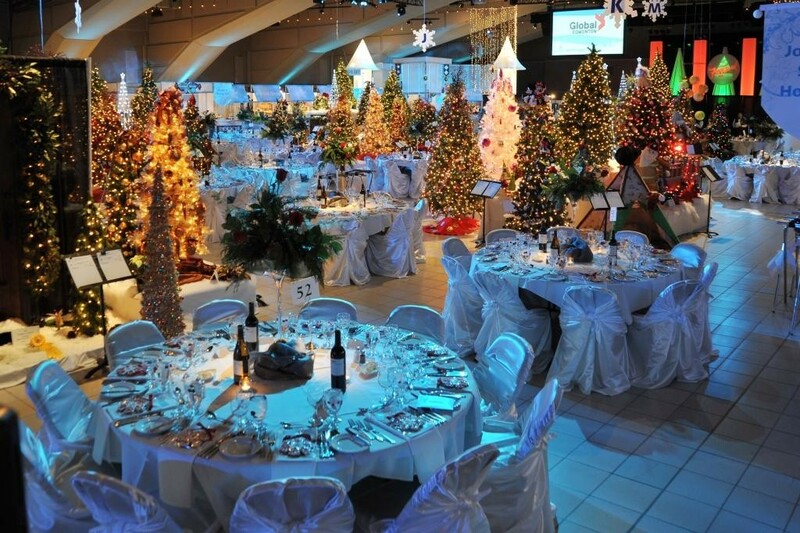 The Edmonton Convention Centre is the perfect venue to host your holiday party whether you’re inviting 20 people or 2,000 people. Small gatherings, large galas, modest budgets and big appetites are all welcome to hold holiday celebrations here. Our award-winning culinary experts are equipped to deliver quality, variety and delicious surprises that fit every budget. And, to make things even easier, we’ll take care of all of the above for you! Let’s talk, get in touch with one of our team members today by visiting https://www.edmontonconventioncentre.com/contact/.